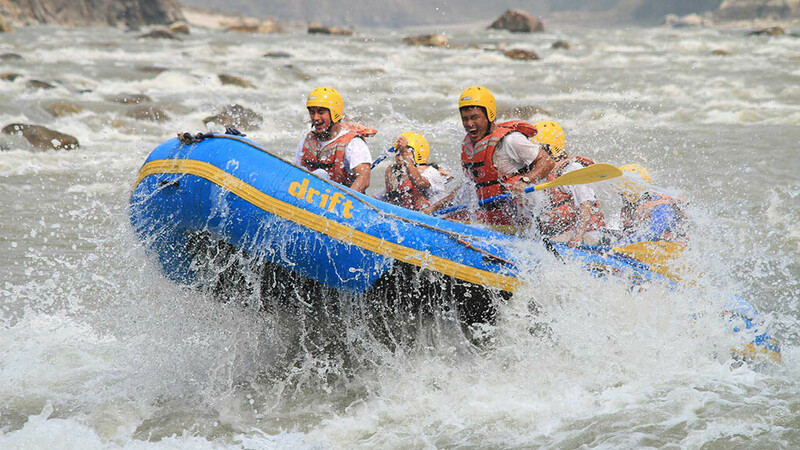 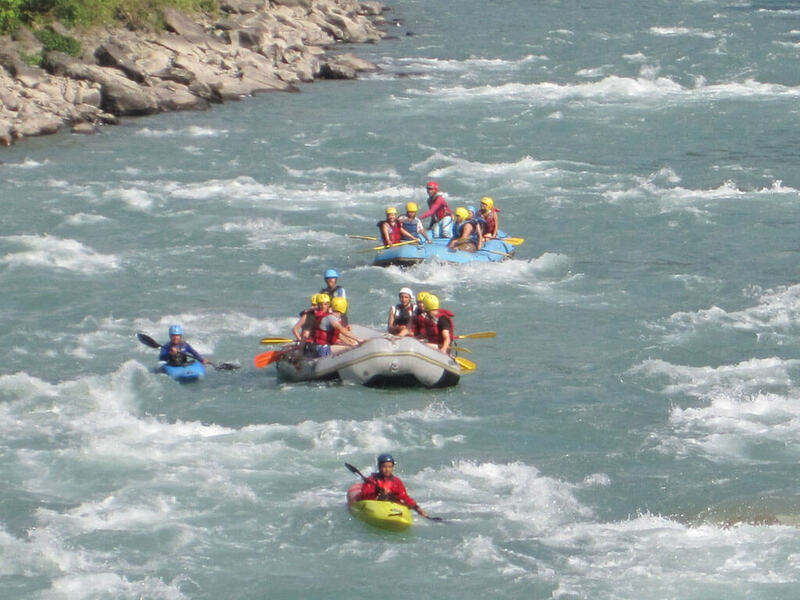 Trishuli river rafting is also an adventurous means of reaching Chitwan where rafters can then embark on another adventure – Safari in the Chitwan national Park. 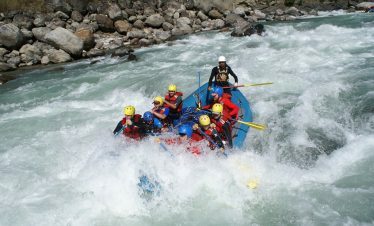 Trips start from Charaudi. 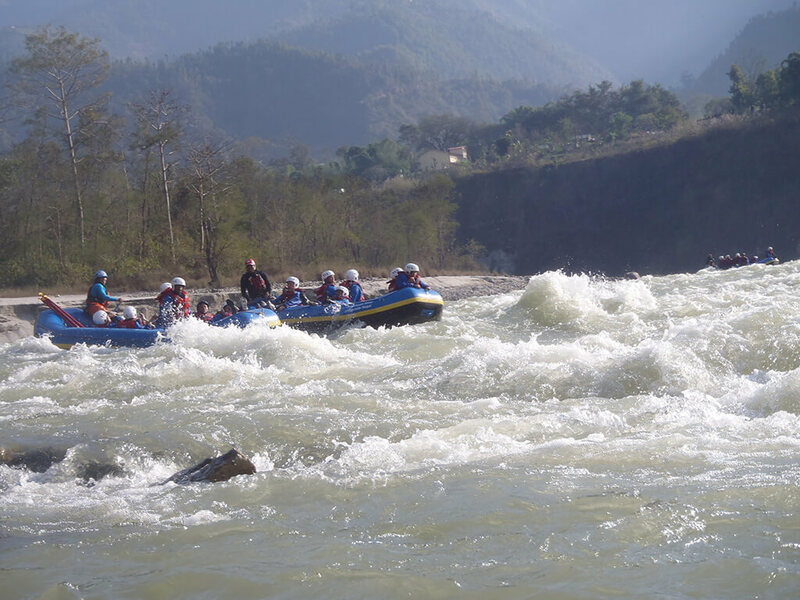 Trishuli river rafting River is an excellent opportunity to observe the diversity of demography, landscapes, and cultural heritage and the flora and fauna. 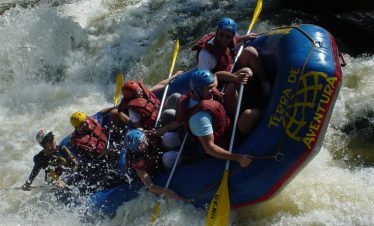 You can experience the thrills of white-water on the course of three days trip. 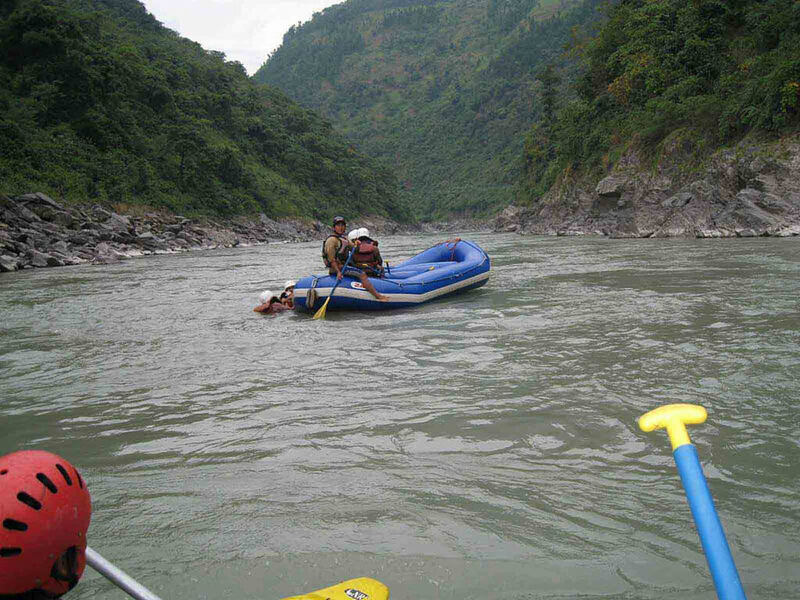 This can be degraded as per your interest and time. 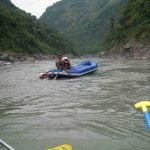 The Trishuli River is the most easily accessible from Kathmandu, Pokhara and Royal Chitwan National Park by far a trip on this river can be made for a varied duration, depending upon the availability of time and interest. 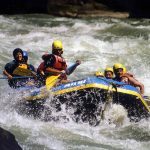 Scenic valleys and impressive gorges, exhilarating rapids and easier sections as well as the right amount of time all make it the perfect trip for first-time or experienced rafters. 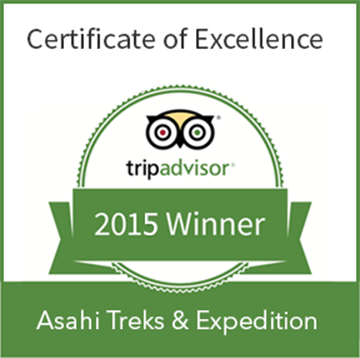 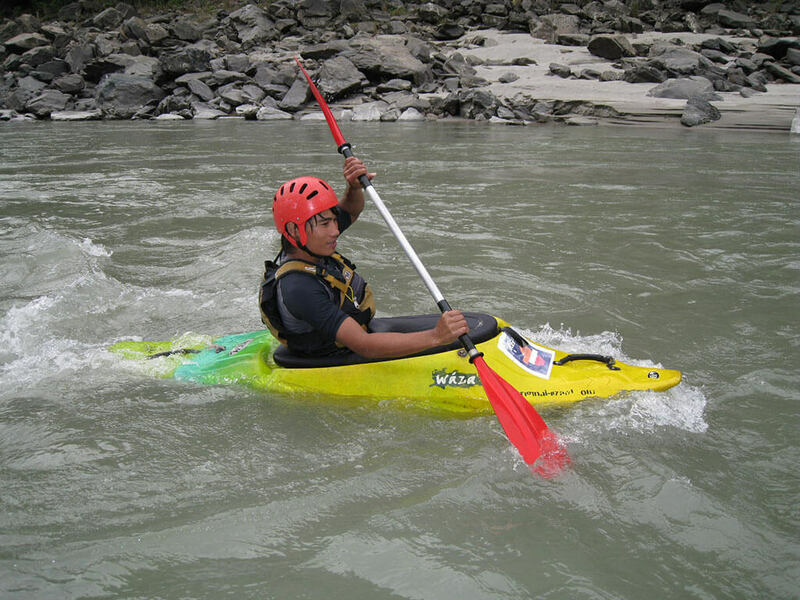 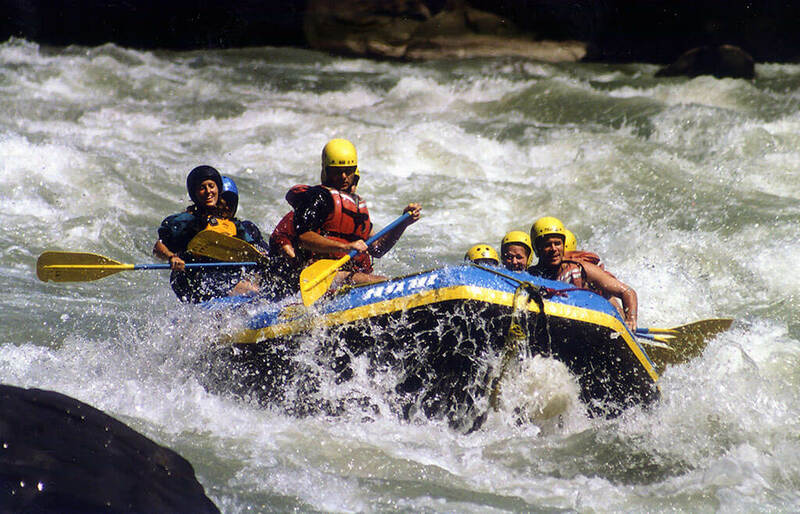 During the monsoon, Trishuli River promises a more challenging ride, with powerful rapids and whirlpools. 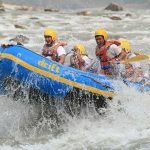 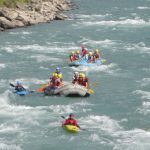 When the river is running high and wild, there are hardly any rafters around, and rafting on the Trishuli River is without a doubt the most exciting thing you can do in Nepal during monsoon and quite possibly one of the best two days big water rafting trips offered anywhere. 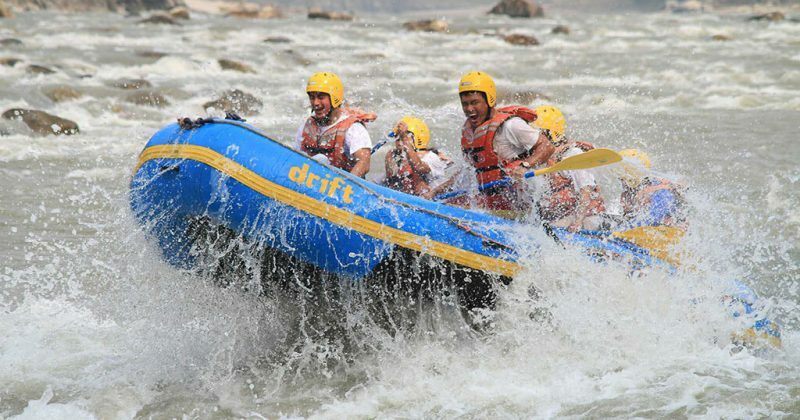 There are numerous exciting rapids as the name of Snail’s nose, Teendevi, Malekhu rapid, Monkey rapid, Upset, Surprise, Monsoon, Cotton Pony, Ladies Delight, S-Bend, Highway, Monsoon and Pinball Rapid. 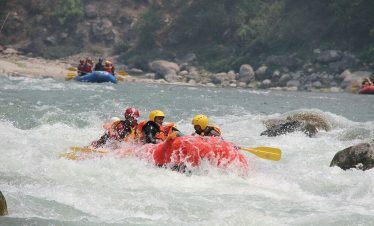 This makes your fun more challenging during high flows with a good mixture of continuous rapids and pleasant calm water. 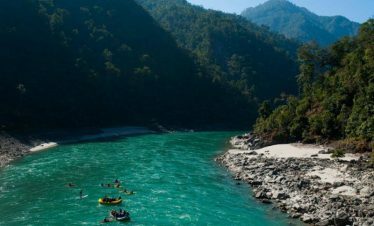 Kuringhat, a small and picturesque village is an ending spot from where you can drive to Kathmandu or Royal Chitwan National Park or Pokhara to continue your adventure in the Himalayas. 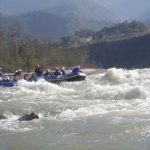 Day 02:Fishling to Simaltal and drive back to Kathmandu / Pokhara / Chitwan. 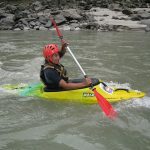 Ground Transportation (From and After). 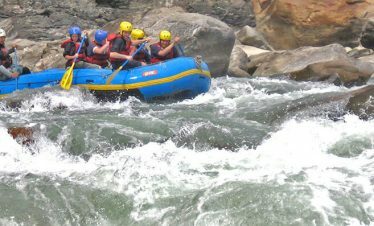 Meals, (breakfast, lunch, dinner) during your rafting trip.